If you’ve been looking around for a business that’s a great investment with great returns, then you should consider starting your own Coffin and Casket business. Coffin and Casket training is the key to owning your own Coffin, Casket and Dome Casket Manufacturing Business. The Coffin and Casket Building industry is probably one of the most lucrative (but under-staffed) industries in South Africa today. With the HIV epidemic still spreading at an alarming rate, mortality rates are only going to continue to rise. Don’t be put off by this morbid topic; Coffin and Casket Manufacturing is a hot business idea precisely because many entrepreneurs shy away from the fact that all humans die, sooner or later. Someone must make the Coffins and Caskets. Someone must bury the dead. There’s a shortage of affordable Coffins in South Africa – here’s how you can profit and also the way in which you can offer a much-needed service to your community. We offer Training in Coffin, Casket and Dome Casket Manufacturing. The training will empower you with all the knowledge and everything you need to know to make the products, run the business, and do the marketing of your business. You will physically make a small coffin and dome casket while at the training centre. Everything that you make is yours to take home. We provide training in Coffin, Flat Raised Lid Casket and Domecasket training at our workshop in Randfontein which is on the West Rand of Johannesburg. When you attend the Coffin and Casket Training, you will receive, in English or Afrikaans a Manufacturing Manual and a Marketing Manual, as well as the templates needed to make the jigs and the products. Find accommodation near our Training Center. We want to make sure that we increase your ability to be successful. We know that you cannot possibly develop the comprehensive skills and confidence that you need to put into practice everything that we cover during the Workshop course. This is why we offer you 6 months ongoing support in the form of email support. The most appealing part is you get to choose your own business name and keep all the profit – no need to pay any royalties! 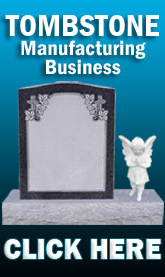 Surely this is the best investment that you can possibly make to ensure that you learn how to start and operate a Coffin and Casket Business quickly and efficiently. We will not do the work for you, but we will support you by answering your questions, advise you on best practice, and share our experience about various aspects of owning and running a Coffin and Casket Manufacturing Business.